This case study was written as a collaboration between Drupal Association staff and Technology Supporting Partner Distil Networks. Drupal.org is the home of one of the largest open source communities in the world. We've been online for more than 13 years and collectively we build the Drupal software, provide support, write documentation, share networking opportunities, and more. 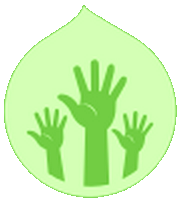 The open source spirit pushes the Drupal project forward, and new members are always welcome. It falls to us to maintain our community home and preserve the welcoming atmosphere that leads people to say,"Come for the code, stay for the community." As stewards of Drupal.org, it's our responsibility to give the community a voice and welcome everyone who wants to participate in the project. At the same time, there are bad actors who would take advantage of our open community and platform for abusive purposes. Drupal.org long-standing presence on the web has given it authority in the eyes of search engines. The site hosts millions of pages of content - all generated by our users. This combination of authority and open access for users to create content makes us a very high value target for phishers and spammers. Spam is a nuisance to our existing community, devalues our project to the newcomers we are hoping to welcome, and left unchecked could degrade our search presence. What was the Project Application Process? Ever since the days when Drupal's code was hosted in CVS there has been some form of project application process in the Drupal Community. To prevent duplicate, low-quality, insecure, or otherwise undesirable projects from flooding Drupal, users would submit sandbox projects to an application queue to be reviewed by a group of volunteers. After resolving any issues raised in this review process, the user would be given the git vetted role, allowing them to promote their sandbox to a full project, claim a namespace, and create releases. Once a user had been vetted for their first project, they would remain vetted and be able to promote any future projects on their own, without submitting an additional application. Unfortunately, though the project application process was created with the best of intentions, in the long term it proved not to be sustainable. Drupal grew too fast for a group of volunteer reviewers to keep up with reviewing new projects, and at times there were applications waiting in queue for 6 months to 1 year, or even more. That is much too slow in the world of software development. This put Drupal in a difficult situation. After years of subjecting new projects and contributors to a rigorous standard of peer review, Drupal has a well-deserved reputation for code quality and security. Unlike many open source projects, we largely avoided the problem of having many duplicate modules that exist to serve the same purpose. We unified our community’s effort, and kept up a culture of collaboration and peer review. At the same time, many would-be contributors were unable or unwilling to navigate the application process and so simply chose not to contribute. Update your existing Drupal 8 sites is strongly recommended. There are no new features nor non-security-related bug fixes in this release. See the 8.2.7 release notes for details on important changes and known issues affecting this release. Read on for details of the security vulnerabilities that were fixed in this release. When adding a private file via a configured text editor (like CKEditor), the editor will not correctly check access for the file being attached, resulting in an access bypass. Some administrative paths did not include protection for CSRF. This would allow an attacker to disable some blocks on a site. This issue is mitigated by the fact that users would have to know the block ID. A 3rd party development library including with Drupal 8 development dependencies is vulnerable to remote code execution. Republished from buytaert.net, please post your comments there. Before we can talk about the upgrade path to Drupal 9, it's important to understand how we do releases in Drupal 8. With the release of Drupal 8, we moved Drupal core to use a continuous innovation model. Rather than having to wait for years to get new features, users now get sizeable advances in functionality every six months. Furthermore, we committed to providing a smooth upgrade for modules, themes, and distributions from one six-month release to the next. Join us at DrupalCon Baltimore from April 24-28 for a week of inspiration, networking, and learning. Meet Drupal experts and industry leaders who will share new ways to create digital experiences that delight customers, citizens, students, patients, and more. The event offers programming for decision makers (CIO/Director) as well as digital teams (developers, project managers, site builders, content strategists). Be sure to check out these suggested sessions for both audiences. Top Five Reasons To Attend DrupalConGet inspired! Hear Dries Buytaert’s vision for digital transformation and Drupal.Network with peers at 4 industry summits and case study sessions on Bluecross Blueshield, Cornell University, Mass.gov, NBA, Quicken, YMCA, and more.Level up your team's skill with 10 trainings and 161 sessions taught by Drupal masters.Find solution partners. Visit the exhibit hall to meet Drupal’s robust vendor ecosystem.Be Amazed. Meet the open source community that powers Drupal. Register today. Prices increase March 24th. Attendees can come for the week or just for a day. Plus, the Baltimore Convention Center is easy to reach - just 30 minutes from Baltimore Washington Airport and 15 minutes from the Amtrak Station. We look forward to seeing you at DrupalCon Baltimore! After a great deal of preparation, user research, and content development we've launched the first three 'Drupal in your Industry' pages. These first three pages highlight the power of Drupal in Media and Publishing, Higher Education, and Government. Each of these pages uses geo-targeted content to reach audiences in: the Americas; Europe, the Middle East, and Africa; and the Asia Pacific, Australia and New Zealand regions. These pages are targeted at evaluators of Drupal in these specific industries. From our research, we've found that these evaluators typically have Drupal on their short list of technology choices, but are not familiar with how a complete solution is built on Drupal, and they're eager to see success stories from their industry peers. We'll be expanding on this initiative with additional industry pages as time goes on. In February we completed phases 1 and 2 of the Project Application Process Revamp. This has meant polishing up the security advisory coverage messages that are provided on project pages, adding a new field for vetted users to opt-in to advisory coverage for their projects, and adding security advisory coverage information to the updates xml served from Drupal.org. With these issues complete we'll be able to move forward with Phase 3 (opening the project promotion gates) and Phase 4 (improving code quality signals and incentivizing peer review) as we roll into March. The Engineering Team provides support to many community members and everyone at the Association. Every day, the team helps people who are at different stages of the Drupal adoption journey. As part of our membership campaign, we're taking a close look at how the team makes an impact throughout this cycle through the work to support a few different Association programs. The team played a key role in the Industry Pages project—from conception to execution. The industry pages help decision makers see how Drupal achieves the vision Dries' set forth when he described Drupal as the platform for ambitious digital experiences. The first three industry pages for media and publishing, higher education, and government are now on Drupal.org. These pages tell stories of success with Drupal for three verticals with geo-targeted content to show our global audience the solutions that are most meaningful to them. We plan to learn from this project and to expand into new verticals. By highlighting what Drupal can do for you, and connecting decision makers to service providers and industry peers, the industry pages are a powerful tool for leading the way to wider adoption. The team is responsible for Drupal Jobs, the subsite dedicated to helping employers and job seekers connect for Drupal-related opportunities. Ever since Drupal Jobs launched in 2015, it has helped increase awareness of the Drupal project. As the pool of employers grows, so do the career opportunities. When more Drupal jobs are available, our ecosystem grows. Wider Drupal adoption becomes possible. DrupalCon unites our global community and people who want to know more about the project. On the Events site, the engineering team supports everyone—event organizers who post content, speakers who submit sessions, and attendees who register using Drupal Commerce and CoD. With a great UX on con sites and fun theme implementation, we show users what Drupal can do for you. Voting is now open for the 2017 At-Large Board positions for the Drupal Association! If you haven't yet, check out the candidate profiles including their short videos found on the profile pages. Get to know your candidates, and then get ready vote. Elections will be held from 6 March, 2017 through 18 March, 2017. During this period, you can review and comment on the candidate profiles. As you know, we've been highlighting the work of the Drupal Association Engineering Team during our membership campaign. Every day, this small team moves the needle forward so that we all have a better experience as users of Drupal.org. In this post, we explore how the team's recent work results in faster, less expensive Drupal development. DrupalCI testbots are the next generation of testing infrastructure for Drupal.org, funded by the Drupal Association and maintained by the Engineering team. For any project on the site, DrupalCI testing can be enabled from the Automated Testing link on the Project page. Every time a contribution to the Drupal project needs to be tested, DrupalCI spins up a testbot on AWS to test those changes. The DrupalCI testbots are helping Drupal contributors to test patches faster than ever before and they are more cost effective than our last generation testbots, both in price-per-test and in expense to maintain. The first release candidate for the upcoming Drupal 8.3.0 release is now available for testing. Drupal 8.3.0 is expected to be released April 5. 8.3.x includes new experimental modules for workflows, layout discovery and field layouts; raises stability of the BigPipe module to stable and the Migrate module to beta; and includes several REST, content moderation, authoring experience, performance, and testing improvements among other things. You can read a detailed list of improvements in the announcements of alpha1 and beta1. Drupal 8.3.x is backwards-compatible with 8.2.x. However, it does include internal API changes and API changes to experimental modules, so some minor updates may be required. Review the change records for 8.3.x, and test modules and themes with the release candidate now. Some text changes were made since Drupal 8.2.0. Localize.drupal.org automatically offers these new and modified strings for translation. Strings are frozen with the release candidate, so translators can now update translations. Voting takes place from March 6 - March 18. Anyone who has a Drupal.org profile page and has logged in to their account in the last year is eligible to vote. This year, there are many candidates from around the world. Now it’s time for you to meet them. We just concluded the phase where 13 candidates nominated themselves for the board seat. From now through March 4, 2017 we encourage you to check out each person’s candidate profile, where they explain which board discussion topics they are most passionate about and what perspectives they will bring to the board. Want to hear more about the work of the team, rather than read about it? Check out this video from 11:15-22:00 where Tim Lehnen (@hestenet) talks about the team's recent and current work. We now have a new system for Documentation. These are guides Drupal developers and users need to effectively build and use Drupal. The new system replaces the book outline structure with a guides system, where a collection of pages with their own menu are maintained by the people who volunteer to keep the guides updated, focused, and relevant. Three years of work from the engineering team and community collaborators paid off. Content strategy, design, user research, implementation, usability testing and migration have brought this project to life. Pages include code 'call-outs' for point-version specific information or warnings. Thanks to the collaborators: 46 have signed up to be guide maintainers, the Documentation Working Group members (batigolix, LeeHunter, ifrik, eojthebrave), to tvn, and the many community members who write the docs! Join us as we celebrate all that the engineering team has accomplished. From helping grow Drupal adoption, to enabling contribution; improving infrastructure to making development faster. The team does a lot of good for the community, the project, and Drupal.org. Check out some of their accomplishments and if you aren't yet a Drupal Association member, join us! Help us continue the work needed to make Drupal.org better, every day. Share these stories with others - now until our membership drive ends on March 8. The Drupal Association is incredibly proud to showcase the Drupal community’s innovation, creativity, and ability to solve end users’ challenging problems. More importantly, these pages are a resource that Drupal businesses can point to as they convince potential clients that Drupal is the right choice for them. We know this is a needed resource not only because Drupal agencies have asked for this, but because our user research was resoundingly positive. One government digital director said “I wish this was around when I was pitching my state CIO on Drupal”. This launch is the first phase for this initiative. We will learn and iterate to keep improving the pages and we will expand the industries to include pages like healthcare, finance, ecommerce, and more. Building the industry pages was a community effort. Drupal Association staff framed the concept and then reached out to end-users of Drupal in these industries, service providers who've built solutions for these markets, and the community at large. We listened to all of you who shared your thoughts in the original blog post about this initiative. We conducted user research, interviewing decision makers and influencers at end user organizations to make sure the pages resonated strongly with them. We talked to organizations like Weather.com, Burda Media, State of North Carolina, Georgia Technology Authority, Duke University, Cornell University - and more! We were very pleased to announce an expansion of the issue credit system into a broader contribution credit system which recognizes more than just code contributions for the purposes of ranking organizations in the marketplace. In a previous blog post on Drupal.org, we talked about our increasing focus on the adoption journey and our plans to create industry specific landing pages on Drupal.org. In January we did extensive user research with people in media and publishing, higher education, and government, which will be the first industries we promote. We're hoping to launch these pages very soon, so keep an eye on the home page. The elections process for the community seats on the Drupal Association board kicks off with self-nominations in February each year. This means that we dedicated some time in January to making small refinements and improvements to the nomination process. In particular we've added more in-context educational materials about the board to the self-nomination form, including a video by executive director Megan Sanicki. We've also refined our candidate questions to help candidates express their unique qualifications. Now that Drupal 8 is a year old, it is an exciting time to be on the Drupal Association Board. With Drupal always evolving, the Association must evolve with it so we can continue providing the right kind of support. And, it is the Drupal Association Board who develops the Association’s strategic direction by engaging in discussions around a number of strategic topics throughout their term. As a community member, you can be part of this important process by becoming an At-large Board Member. We have two At-large positions on the Association Board of Directors. These positions are self-nominated and then elected by the community. 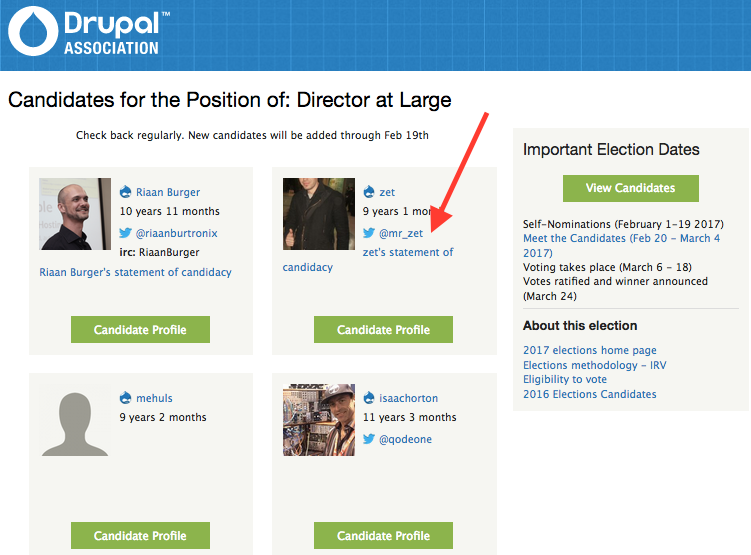 Simply put, the At-large Director position is designed to ensure there is community representation on the Drupal Association Board. If you are interested in helping shape the future of the Drupal Association, we encourage you to read this post and nominate yourself between 1 February and 19 February 2017. How do nominations and elections work?Specifics of the election mechanics were decided through a community-based process in 2012 with participation by dozens of Drupal community members. More details can be found in the proposal that was approved by the Drupal Association Board in 2012 and adapted for use this year. What does the Drupal Association Board do?The Board of Directors of the Drupal Association are responsible for financial oversight and setting the strategic direction for serving the Drupal Association’s mission, which we achieve through Drupal.org and DrupalCon. 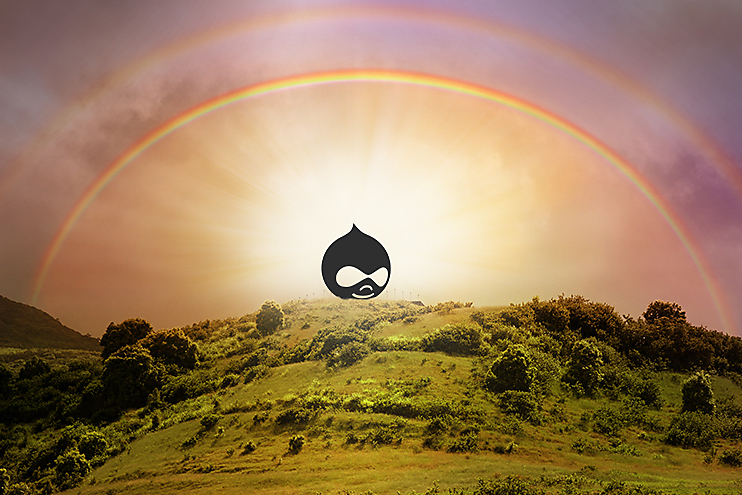 Our mission is: Drupal powers the best of the Web. The Drupal Association unites a global open source community to build and promote Drupal.